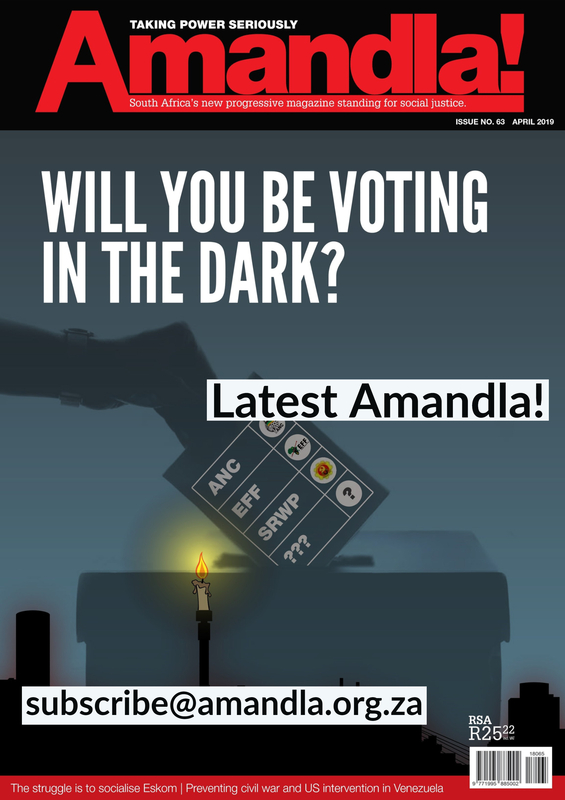 With elections on the horizon, South Africans are being encouraged to go to the polls. This extends beyond regular political party campaigning – it is a blanket call simply to vote. This is to be expected. Voter turnout has consistently worsened since our first national elections in 1994. What is worrying however is how the push to vote is being framed as both a political and moral imperative. the limitations of our electoral system. In order for elections to be meaningful, concerns with public participation, the closed-list member system and the responsiveness of parliament all need to be addressed. Failing to address these problems will render the calls to vote divorced from the reality of our country. The argument that we must vote essentially rides on two assertions. The first one is that voting is a right that has been won through hard sacrifices. As a result, the decision to not vote is a betrayal of that sacrifice. In fact, voting in South Africa is a process described by Suntosh Pillay in the Daily Maverick as being “a tragic appreciation for the thousands who sacrificed their lives to give us the power and freedom that comes with electing our leaders”. Part of this critique of abstaining from voting is the notion that non-voters are an apathetic group. But voting is not the beginning and the end of democracy. It is something that has to happen in a democratic society, but it is not itself the sum total of democracy. The decision to vote is only one of the many ways people exercise their political freedoms. To see abstaining as a betrayal is to overlook the other dimensions of the freedom many fought for. This is especially true in a context where the electoral process has lost its meaning in effecting change. Democracy is a far richer process than elections every few years. In the valorisation of voting the important victories currently being eroded are forgotten. Freedom of speech, association, assembly are but a few basic rights that many South Africans fought for that are currently under threat. The decision to abstain from voting can and should also be understood as the exercise of hard-won freedom. An essential element of the freedoms won by the anti-apartheid movement is the freedom to choose whether or not to participate. And of course how to participate. Formations of the unemployed and homeless such as the Assembly of the Unemployed have advocated spoiling votes by stuffing CVs into the ballot box. This is very different from the current rhetoric that frames voting for a party as the only way in which individuals or groups can exercise their political freedoms. What the arguments that centre on voting do is to obscure the fact that democracy is, or perhaps should be, defined by freedom And by freedom I mean both freedom to do things (speak, assemble etc) and also freedom from harmful things (hunger, poverty etc). Under this expanded conception, voting is no more honourable an activity than not voting. Both fulfil the same function: exercising political freedoms. Subsequently, the common refrain that non-voters are apathetic flies in the face of vast evidence to the contrary. Service delivery protests, social movements, community-based organisations and NGOs are some but not all the avenues for political engagement that show South Africans as a politically engaged populace. Voter turnout in elections is thus not the only mechanism by which South Africans engage in political activity. Nor should it be used as the primary metric upon which we measure political apathy. In addition, an individual’s decision to not vote should send a clear message to political formations that they have evaluated the electoral options available to them and have determined that these options do not satisfy their political needs and wants. The implications of this are that, rather than non-voters being the ones who have to effect some change in their practices, it is political parties that need to make the concerted effort to earn their votes. At present the political parties on the table seem incapable of achieving that task. The ANC under Ramaphosa has begun a project of renewal: the renewal of a neoliberal project that is continuously being rejected across the world. The Democratic Alliance has decided to add xenophobia to its set of right-wing campaign tools. The EFF, on the other hand has the dubious honour of being the political party most likely to be called “fascist” by political commentators, given their crude ethnic nationalism. In response to this fertile ground for political opposition, a motley crew of poorly acronymed parties has emerged. GOOD, ATM, ACM, SRWP and a whole host have presented themselves as alternatives to the status quo. Yet exactly what it is that differentiates them from existing parties is quite hard to establish. GOOD’s selling point is that they are not the DA, ATM and ACM have offered a home for the Zuma ANC outside of the ANC. SRWP has adopted a vision of socialism that can best described as “socialism from above”. The extent to which even new entrants are no different from their peers is evident. And as such who to vote for matters, and currently South African voters have slim pickings. The second key claim of the pro-voting contingent is that voting has instrumental value as it allows the citizenry to effectively decide who governs and how they will do so. Yet 55.6% of South Africans surveyed in the 2017 South African Reconciliation Barometer believe voting to be meaningless due to a lack of trust in politicians. In addition, 51% of South Africans surveyed do not believe that their vote makes any meaningful difference in society. In light of these sentiments, it is important to note that the past 25 years have engendered a real and legitimate scepticism about how effective electoral politics are. 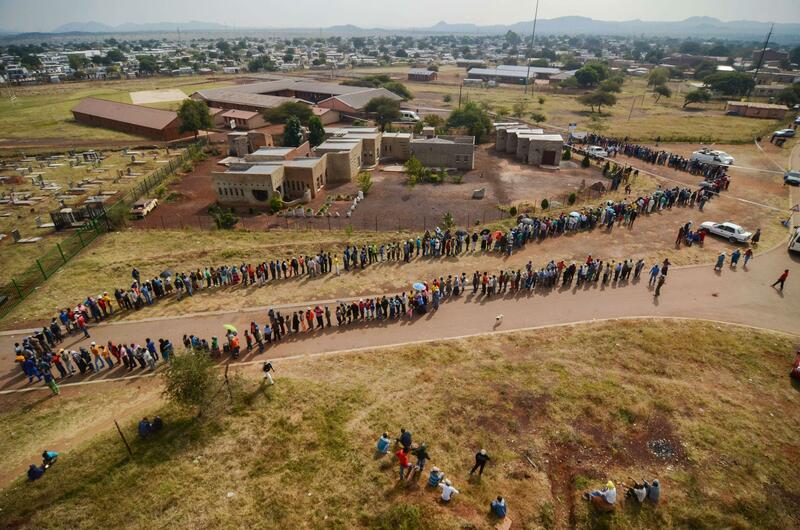 For 25 years South African have had the opportunity to participate in free and fair elections. 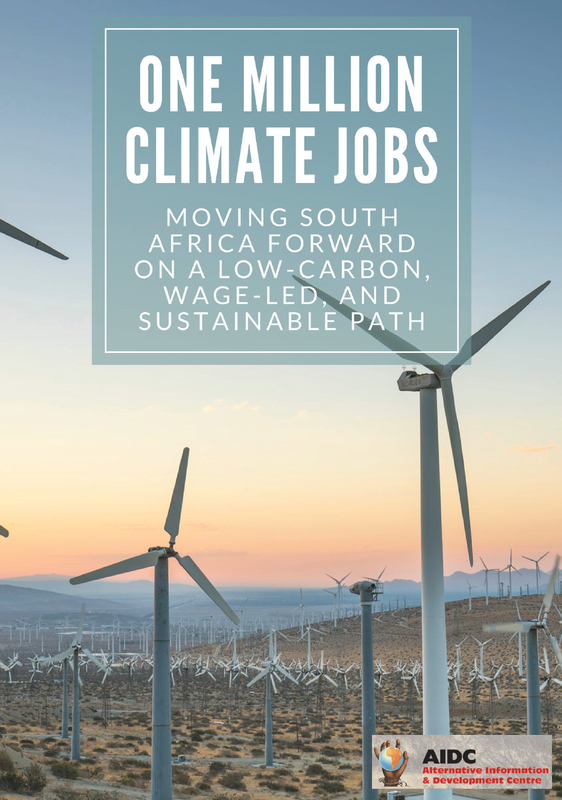 Despite this, South African life is typified by deep poverty affecting more than half the country, one of the highest rates of inequality in the world and high unemployment. These are real failures that voting has not been able to sufficiently resolve for much of the country’s population. As a result, South Africans are right to wonder whether or not elections are a genuinely meaningful activity. In many ways this stems from how limited and limiting a political activity voting is. Every five years, citizens over the age of 18 are afforded the opportunity to go to the polls. They select their party of choice for the provincial and national governments. They return home and are subsequently afforded few meaningful avenues to interact with their “representative”. In fact, representative is a largely misleading word to use. As former MP Ben Turok highlighted in his autobiography, he and his colleagues were assigned to constituencies with little regard to their historic and/or political links to those constituents. They were subsequently expected to overcome the barriers between themselves and these constituents while also carrying out their other parliamentary responsibilities. The result of this is that studies have shown South Africans to have some of the lowest rates of MP recognition on the continent. Exceptional parliamentarians may be able to rise above the limits of this process. However, the average MP is too alienated from their base to meaningfully represent their “constituents”. This distance between MPs and members of the public is compounded by the limitations in South Africa’s public participation process. This is true whether it be in the case of individuals, interest groups, unions or other civil society organisations. Those organisations, usually community-based organisations, and individuals with limited resources can often not access these platforms. It effectively reduces them to voters without adequate representation or the opportunity to influence the law-making and policy making functions of government. In addition to this, research from the Parliamentary Monitoring Group indicated that out of 1,134 committee sessions held, only 39 (3%) featured comment from the public. What this means is that one of the most valuable processes for political engagement is effectively inaccessible to the general public. Effectively the arguments in favour of elections possessing instrumental value do not stand. Representatives do not represent the people nor are processes for public participation genuinely participatory. Voting’s potential to shape and direct the future of the country is effectively lost as soon as we leave the polling station. This is not to suggest that elections cannot be valuable. Rather it is to argue that the flaws in our electoral system, the current nature of party politics, the corrupting effects of participating in an electoral system embedded within a society marked by extreme levels of inequality, prevent the realisation of the ideals of a democratic society. The narrow framing of elections traps our imagination in the way things are now. This can be harmful if, as I’ve shown above, the current situation needs deep transformation. Participation in elections becomes relevant when it is part of a genuine mass movement and struggle for fundamental socio-economic transformation and social justice at all levels, including gender, environment, etc. Thus, while voting can and should be a meaningful part of political life, the fundamental flaws embedded in our electoral system strip the process of much of its real value. Political processes need to be responsive in clear ways. Public participation must be maximised and members of parliament should be transformed from party representatives to public representatives through shifts towards a constituency-based or a mixed-member proportional representation electoral system. Doing so might lead to greater accountability of elected representatives and erode party patronage machinery. This could go some way to ensuring that the legitimate needs of the masses are taken more seriously by elected representatives. Beyond shifts in electoral systems, for elections and party politics to be ultimately meaningful they must be centred around alternatives to the status quo. They must be anti-capitalist, anti-sexist, anti-racist, pro-LGBTQ+ and at their core anti-oppression and exploitation.